The first time he saw Greg Metcalf, Jake Schmitt was a freshman at the University of California in Berkeley. He was racing at what were then the PAC-10 Cross Country Championships. "I was having a particularly bad race," Jake says. "I was feeling pretty bad about myself. And I was towards the back of the pack, which is not a great place to be." 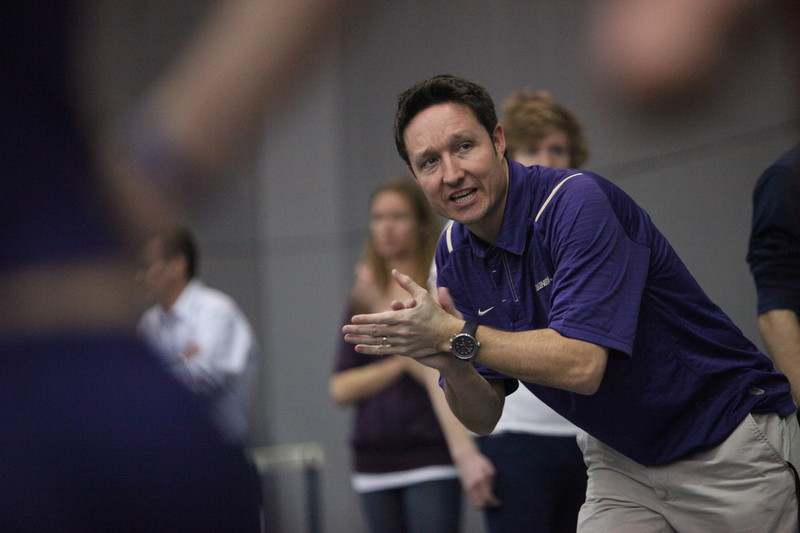 It was also a bad day for some of the University of Washington runners. Jake says he was running with five of them when the group passed Greg Metcalf, the UW coach. "And this man was going absolutely crazy," Jake says. "He was so excited — totally coaching, cheering, screaming, yelling. And I could not believe the energy coming from this human being. And I just thought, ‘That’s who I want to run for.’ "
So, in 2007, Jake transferred to the University of Washington to race for Greg Metcalf. I heard about Metcalf’s energy over and over again from every former UW runner I talked to. "I mean, literally, the guy gets so excited he elevates off the ground," Meghan Lyle says. 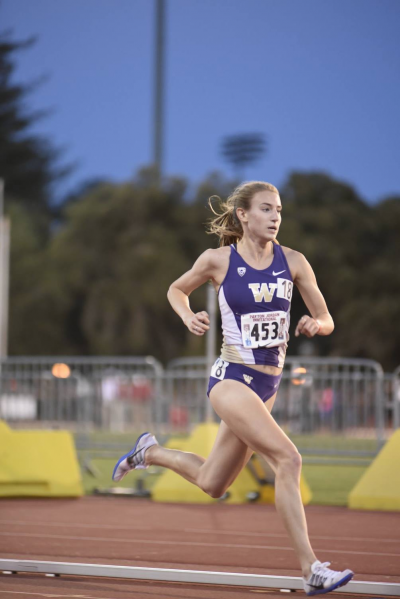 Meghan ran recreationally during her first three years at the UW. "I really didn’t have anything in terms of a running résumé," she says. But, at the end of her junior year, she sent Metcalf an email. "Like, literally, I reached out and said, ‘Gosh, I did this treadmill run, and it was pretty fast. Maybe I could try out for the team?’ "
Meghan says Metcalf gave her some training to do over the summer. And that fall, she walked onto the team. "My first cross country race, I borrowed shoes," Meghan says. Against all odds, at Cross Country Nationals that year, Meghan was the third fastest runner on the UW team. "It was crazy that Metcalf believed in me," Meghan says. "I still thank him for that. Because I don’t think that I did. So I needed somebody else to." "People can do amazing things when they know that someone believes in them," says Lindsey Kirschman, who arrived at the UW in 2006. "I remember reading his spiel on all of the incoming freshmen," Lindsey says. "He wrote, ‘Lindsey Kirschman is one of the fastest women in America — bar none.’ And I still remember that today. Because it just gave me such a huge burst of confidence." Lindsey says she didn’t run as well as she would have liked in college, but she did everything she could to contribute to the team and to please Coach Metcalf. "Coach Metcalf was, like, our boss and our coach, someone we wanted to respect," Lindsey says. "And we really wanted to please him." But Lindsey says, over time, she stopped trusting him. "The person that you meet face-to-face is not the real person," Lindsey says. "What he says to your face is not what he says behind your back. And you know that if he’s making comments about other athletes that are your teammates, then surely he’s making comments about you, too. "My best friend in college, she told me later that he used to call me a 'fat lesbian' behind my back. I was engaged to a man. And I don’t think you should use the term ‘lesbian’ in a negative way regardless." Lindsey says she struggled with undiagnosed anorexia all through high school. And when she heard about Metcalf’s comment? "That was so devastating to feel that crushing blow of two words, right? ‘Fat lesbian,’ " she remembers. "And it was just, like, ‘Wow. I gave my soul to you, and that’s what you think of me.’ "
The first time I heard this story, it was from Lindsey’s best friend — the one who heard Metcalf use those words. Lindsey says the comment still affects her. "That confidence that you had? It doesn’t just go away," Lindsey says. "It’s like you get negative confidence. Well, shoot — like, I thought he believed in me. But apparently not. So now I have to struggle and figure out how to believe in myself." I spoke with eight former UW athletes for this story, and most of them mentioned times when Metcalf fat-shamed runners. Lindsey’s teammate Amy Lia remembers a time she overheard Metcalf targeting one of the team’s runners during what was supposed to be a men’s-only meeting. "You know, like, things like, ‘You’re a fat piece of s---.’ I just remember it being, like, a public shaming about his weight." Amy says Metcalf often got angry and singled people out during team meetings. "He definitely has a light switch that he just flips on and off, and you don’t know which one you’re going to get each day," she says. "You were always, kind of, like, ‘I hope it’s good Metcalf today.’ "
"Yeah, meetings were always a really scary thing," says Katie Knight, who just graduated from the University of Washington this spring. "The whole entire group is just, like, nervous," Katie says. "And that was something that really built on itself as far as, like, why I would feel so anxious around him." 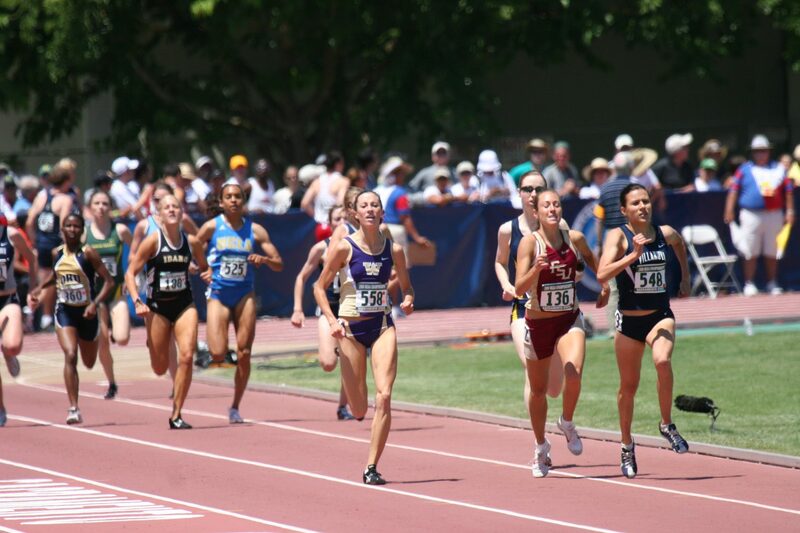 In high school, Katie was one of the top distance runners in the state. Four universities, including the UW and Stanford, offered her full-ride scholarships. She chose the UW because it seemed to her that Metcalf would support both her athletic and her academic goals. Katie had experienced anxiety before. But, she says, as her collegiate career progressed, she started getting more and more anxious about running. "I was having a really hard time — just doing training runs and having panic attacks during runs and just really struggling," Katie says. Over winter break her fourth year of college, Katie was trying to get her panic attacks under control. She stopped filling out the training logs Metcalf provided and instead kept track of her running on Google Docs. When she came back from break, she met with Metcalf and the assistant coach. "I was sitting there, and he just starts yelling at me. He’s like, ‘I don’t know why you have to do your own special log. What the f--- is wrong with you?’ It makes my heart go fast even just thinking about it. And I just started having a full-on panic attack in this meeting. I couldn’t breathe, and I couldn’t think, and he’s still talking at me. "And I just got to the point where I was, like, I need him to stop. I need him to stop. I just was like, ‘Please stop. Please stop talking.’ And he just looked at me with this look of disgust. Like, ‘What’s wrong with you?’ I just never was able to recover from that. ’Cause how could I ever trust him again, right?" Because of her anxiety, Katie medically retired from the team in May 2017. After being one of the fastest runners in the state in high school, today she doesn’t run at all. "I definitely feel really sad that a sport that I loved feels like it was taken away from me," Katie says. "I can’t go for runs and be happy doing it. And it used to bring me a lot of joy. And it used to make me feel proud of who I was, and really strong and powerful. And I don’t have that with it anymore." Katie wrote an email to the Senior Associate Athletic Director Erin O’Connell detailing her experiences with Coach Metcalf. She provided me with a copy of the message. O'Connell confirmed that she received it and shared Katie's concerns with others in the department. It wasn’t the first time an athlete complained to the University about Metcalf. In 2015, a group of students took their concerns to the athletic director. Subsequently, Metcalf was put on probation for a year. Other runners told me they chose not to go to the University. Remember Amy Lia, who was in a meeting where Coach Metcalf called one of her teammates fat? She says, during her last couple years of college, she lived in houses with other track and cross country runners. "And somebody would always come home crying," Amy says. "So we would sit around and we'd talk about — truthfully — like, how could we get him fired? We would think about all of the things that he’s done, and we’re like, ‘That has to be a fireable offense!’ "
But Amy says she never told the University about Metcalf’s behavior. "I really wanted to run professionally," Amy says. "I always wanted to be an Olympian. That was my lifelong dream. I never wanted to start anything or say anything because I was worried it would ruin my career. "I didn’t know any other professional runners. I didn’t know any agents. I don’t know any other coaches. And so I didn’t want to ruin the only connection — even though I didn’t like my connection, I wish he never was my connection — to make it further in the career that I was looking for. I was worried that I would ruin that whole thing." "When I found out that Coach Metcalf had resigned, I felt just, like, relief," Katie Knight says. I asked the University of Washington’s Carter Henderson what, if anything, the University learned in 2018 that hadn’t already been alleged in 2015. Henderson didn’t answer that question. But he did say in an email that, since 2016, the University has been conducting annual anonymous surveys and exit interviews in all sports to get feedback on important issues. Henderson says from the time those surveys began through May 17, 2018, no allegations of misconduct by Coach Metcalf were reported. But Katie Knight emailed her concerns to the University during that time period — at the end of the 2017 track season. Right as this story was almost ready to go to air, I got an unexpected phone call. Greg Metcalf called me and told me he was willing to talk about what happened from his perspective. "My job as a coach — first and foremost — it is to take care of every student-athlete in our program," Metcalf says. "And the ultimate goal is to go be the very best that every single student-athlete can be." I asked Metcalf about the men’s-only meeting Amy Lia told me about. She says she overheard Metcalf calling one of his athletes "a fat piece of s---." "I know that I do get fired up," Metcalf says. "And when we’re, you know, a men’s-only meeting, I would talk to young men how probably I was talked to as an athlete. You know, if I said it, it was to a kid that I believed could handle it. And it was intended to have a positive result. "You know, the things that I said to young people along the way were with the sole intention, of, ‘Hey, where are we now? How do we get better? And how can we improve and what areas can we improve in?’ "
"I 100 percent did not say that," Metcalf says. "I would not say that to another young person about another young person." Metcalf actually called me back about an hour after our interview to reiterate that he would never use the term “lesbian” negatively. As far as the meeting about Katie Knight’s training logs goes, Metcalf remembers it differently. "You know, I don’t remember yelling at her about it," Metcalf says. "But I remember having a conversation with her about, you know, using the training logs that I could read that would allow myself and my assistant to coach her to the very best of our abilities." I reached out to the assistant coach who was also at that meeting, but I never heard back. Lindsey Kirschman, the runner who says Metcalf called her a "fat lesbian," is a coach herself now — a distance running and strength and conditioning coach at a high school in Colorado. She says the story of Metcalf is much bigger than just one coach, one team and one university. "Why this story is so important — it’s not to just look at one person and point our fingers and be like, ‘Wow, you really messed it up,’ in a gossipy way. But it’s to highlight the value and the importance of a transformational coach," Lindsey says. "Like, there are very few types of leaders that have the potential to make such drastic, transformational changes as a coach does. The track is just a training ground for the battlefield that is real life. And so I think that’s really what he missed out on in a big way. I mean, the amount of talent that went through those doors was phenomenal and he could have just rocked the world with it if he would have done it right." This segment aired on August 4, 2018.
snorkeling and kayaking off the country's gorgeous beaches.